Come to GDC 2019's Game Producer Bootcamp and level up your game dev process! Facebook's Ruth Tomandl will give you a thorough look at game production processes as part of the GDC 2019 Game Producer Bootcamp, a full day of talks focused on the art & science of game production! This year GDC will be complemented by a new initiative aimed at giving everyone a place to relax and unwind while listening to live performances from some of the industry's leading musicians! Learn how to acquire new users and build revenue streams for your game company from our partners at Xsolla at GDC 2019! Don't miss these insightful interviews with 2019's alt.ctrl.GDC devs! 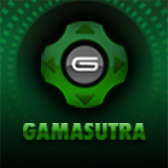 Each of these offbeat alternative controller games has an interesting story behind it, and now's a great time to catch up on them via all these fantastic interviews with the Gamasutra team! Get ready for GDC 2019 with help from the all-new Digital Tote Bag! With just weeks to go until GDC 2019 kicks off in San Francisco, GDC organizers have set up a new digital resource to reduce waste and help you prepare to get the most out of your time at the show! Get legal experts' perspective on how the law is impacting game dev at GDC! A panel of legal experts will take to the stage at GDC 2019 to discuss top legal developments in games, from Fortnite dances to Nintendo's stance on ROMS! Facebook's Leo Olebe breaks down what the company is bringing to GDC 2019! Shut Up & Sit Down returns to GDC 2019 with great board games to play! From Richard Garfield's 'unique deck' card game KeyForge to Alderac's intriguing Space Base, here's what you can expect to play when you visit the Shut Up & Sit Down board game lounge at GDC 2019! At GDC 2019 some of the most interesting game makers working today will discuss why they create very personal games, and share practical advice about designing games that speak to deeper issues. Cutting-edge game tech companies are presenting some cool Dev Day sessions this year, and today organizers are excited to highlight offerings from Amazon, Facebook, Unity and Viveport! Autodesk's TJ Galda wants to hear from you when you attend GDC 2019! This cool talk from Unity about using neural networks in game dev is part of the Math for Game Developers Tutorial, a unique day-long look at the mathematical foundations of modern games! McLaren has fast-tracked the supercar design process by introducing a unique VR sketch tool into their studio, and next month they'll be at GDC to show you how they did it -- and what they learned! 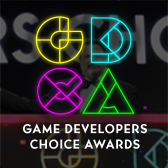 Play these intriguing indie games at the GDC 2019 Day of the Devs showcase! 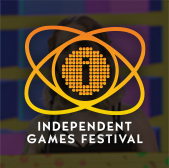 Here's the full lineup of games that will be playable in the GDC 2019 Day of the Devs showcase, orchestrated once again by Double Fine Productions and iam8bit! Come out to the Game Developers Conference next month for a unique behind-the-scenes look at upcoming Sony game Concrete Genie's interactive music systems!